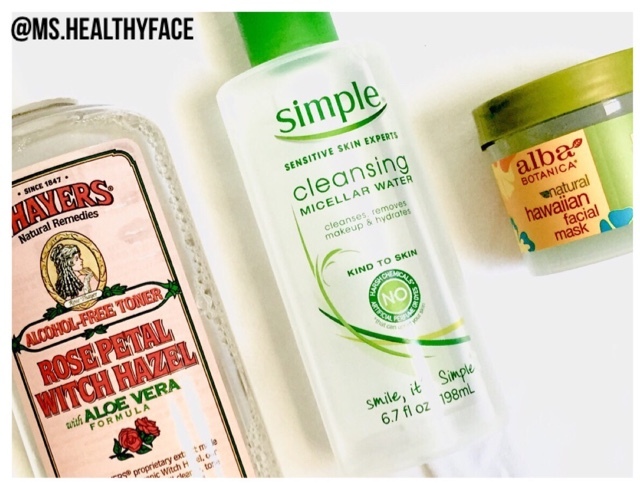 First, I cleaned my face with a cotton-ball and Simple's Cleansing Micellar Water, my newest love. Then, I applied the papaya enzyme mask. It's cold, gooey, and green. It tingles when you apply it. After 5 minutes, I rinsed it off in the shower with luke-warm water. My skin felt smoother and brighter! Then, I toned my wet face fresh out of the shower. This mask is hypo-allergenic, pH Balanced, and has 100% Vegetarian Ingredients. No: Animal Testing, Artificial Colors, Parabens, Phthalates, Sodium Lauryl / Laureth Sulfate or Sodium Methyl Sulfate.